Marc and Robert Gutierrez are partners operating out of AMR’s Redlands operations in San Bernardino County. On December 2, 2015, they were among the first EMS personnel to arrive at the scene of the devastating terrorist attack at the Inland Regional Center where 14 people were killed and 21 were injured. 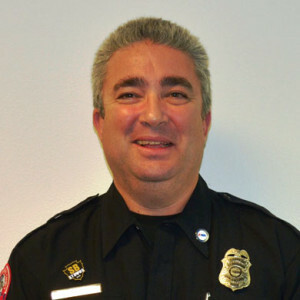 Upon arrival, Marc and Robert moved into the triage area which was surrounded by police personnel and protected by rooftop snipers due to concerns the shooters would return to attack first responders. Immediately the two paramedics encountered numerous gunshot victims, and began adapting triage protocols to address the volume of victims and nature of the injuries sustained, and at times moving from patients who had succumbed to injuries to try and save others. Marc and Robert, in addition to numerous AMR and public safety personnel, were able to rise to the occasion on this day, stay calm and focused, and do what they needed to do to save the lives of patients in a very difficult and dangerous situation.